It’s possible to prod immune cells to attack and kill pancreatic cancer cells, according to a report from scientists at the University of Washington School of Medicine and the Fred Hutchinson Cancer Research Center in Seattle. Their findings challenge the commonly held view that pancreatic cancer does not elicit an immune system response that is robust enough for immunotherapy to be effective. In a paper published April 2 in the journalClinical Cancer Research, the researchers report that they found such T cells within pancreatic tumors and determined that they can be activated to attack and kill cancer cells. 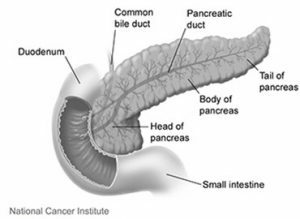 They studied pancreatic ductal adenocarcinoma, the most common and most deadly pancreatic cancer.